It's easy to love your spouse while you're happy, or while they're happy. 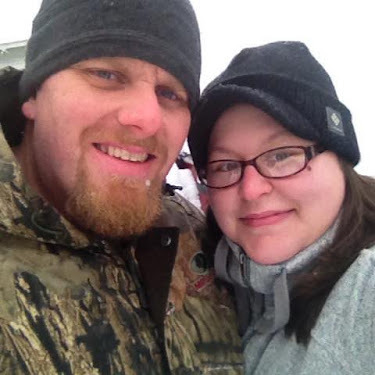 It's easy to love your spouse when life is going well and there's not a worry in the world. But even then, it's hard for some married couples to get along with their 'other half'' -- maybe it's because they're hurt or have been hurt by them, or maybe it's because life is just too busy to focus on their marriage. Through it all, the one thing we should always remember is that love is a choice. Yes, it is. It's not just a feeling, it's a choice. You choose every morning when you wake up what your attitude will be towards your spouse, how you will react to people through out the day, and who and how you love. This morning while sifting through facebook statuses and messages, I came across this quote, and oh how it stood out to me. Over the past few weeks my husband and I have had this sense of "connection", more so than normal. And I attribute that completely to loving one another unconditionally. Recently, we haven't been "keeping score". 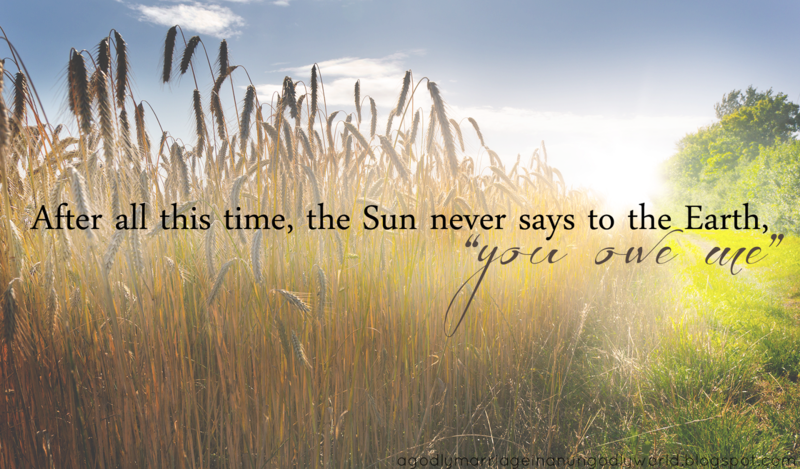 As the quote above says, "After all this time, the Sun never says to the Earth, 'you owe me'". Can you imagine if it did? Our worlds would be completely demolished, I imagine. It's the same in a marriage. You can't keep score. You can't say "well you don't hug me when you get home from work, so I won't show intimacy to you". Or, "you don't help me around the house with chores, so I won't show interest in helping you". Or, "you just nag nag nag me all of the time, so I won't pay any attention to your requests when you have them, as simple as they may be." Love doesn't insist on its own way. Love isn't irritable or resentful -- love doesn't keep score. It was something as simple as him kissing me when I was irritated with him the other day. It was something as simple as me throwing my arms around his neck, smiling, and telling him how much I love him when he was irritated with me last week. It's something as simple as defusing the situation instead of adding fuel to the already burnt out emotions that we might be feeling from being married for the past 7 years. Instead of acting on your emotion by lashing back at your spouse, choose to love them unconditionally, choose to defuse the situation and remind them of the more important part of your marriage, your love and intimacy. Choose to be love unconditionally, in every situation, even if your spouse is being nasty. This isn't to say you should be a doormat or that you shouldn't take serious conversations seriously. You should never make light of a serious conversation -- but you can certainly allow it not to get heated by the way that YOU act and react. However, we run into little fights and squabbles through out the day and week that could be completely avoided and even turned into some of the biggest 'love' experiences and testimonies that we've ever had.